Eco Yoga Sanctuary : Each part of the course is to improve your understanding of yoga as a means of gaining physical and mental balance. Programs are designed to enhance you and your practice. 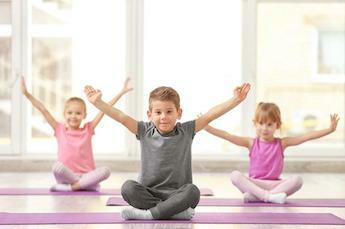 Each part of the programs is to improve your understanding of yoga as a means of gaining physical and mental balance. At the end of the program, we will make sure that you have acquired the expected outcome and objectives set from the very beginning. Enroll yourself now and indulge deeper within you. Explore the covert potentials waiting to be uncovered. The aim of this course is to enable one to gain deep knowledge of authentic yoga, be aspired by the learning so that you’re able to apply it in your daily life as well as to inspire others as a yoga teacher. The table below shows the necessary components of the course. You will get a manual & a course book. You will receive opportunities to teach in the studio. As well as community classes. We are offering 4 months yoga classes unlimited for 1000 dirhams only between 15 March - 30th Sept. 2019 for TTC students only. You will get Internationaly Recognized Yoga Alliance Corporation at the end of the course. We will be providing yoga mat, yoga props and towels throughout the course. - A deposit of AED 500/- is mandatory to insure your seat in the course. - Programs: Paid in advance in full upon agreement of the program. - Upon registration, to guarantee your place, you are required to make a deposit of 50% of the total value within 7 days after making your reservation. The remaining balance is due and can be paid maximum 5 days before the course begins. - If you wish to pay in 2 installments, you may make the first installment within the first 7 days of your registration of the course of 50%. And the second 2nd installment by 15th of April, 2019, however one cannot avail the early bird discount if one opt for the installment option. The teaching training manuals and course material is based on using the traditional Yoga practices as transmitted by the masters for physical, emotional and spiritual well-being , formulated by The Yoga Institute, one of the oldest Yoga schools in India in affiliation with Eco Yoga Sanctuary, Dubai. 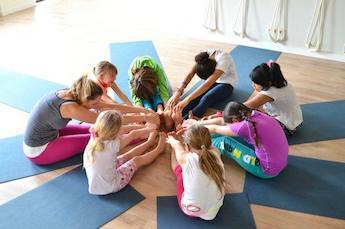 The course is lead by Ms. Sneha Arora, teaching and conducting Yoga courses and trainings for a decade now. Being an affiliate with The Yoga Institute and registered Yoga Alliance Teacher, she is well -versed with curriculum and teaching methods. A team of teachers will be conducting some sessions through the course, as well as special guest speakers will throw light on certain topics of Nutrition, Anatomy and Philosophy. - There is a lot of effort that goes into conducting a teachers’ training programme, and hence the course fee is not refundable. However, you may transfer it to someone who would be interested in becoming a teacher. - There are costs of program delivery and to plan and prepare for our students who have committed to coming. If you pay a deposit to hold your space, you are agreeing that you will pay the remainder of your fee in accordance with the payment plan you register for regardless of whether you attend the program, as that deposit is paid in exchange for “holding your space” and may serve to deny another student the chance to participate. Accordingly,the course fee is non-refundable however transferable ( You are responsible to find your replacement). This policy is effective immediately upon registration. Out of fairness to all of our students, we do not make exceptions to our no-refund policy, and we must remain consistent. - You are obliged to pay the rest of the course fee. With signing up you have agreed to paying the full course fee. The purpose of the Teachers’ Training course is become not only a good student of Yoga but a compassionate teacher as well. All the rules and disciplines are set only to instill discipline , however we look forward to your participation, as there will be a few fun surprises as well through the course at ECO YOGA SANCTUARY. Intensity doesn’t mean one has to serious. However, Sincerity is all we hope for, to help you transform your life and Yoga journey with us!